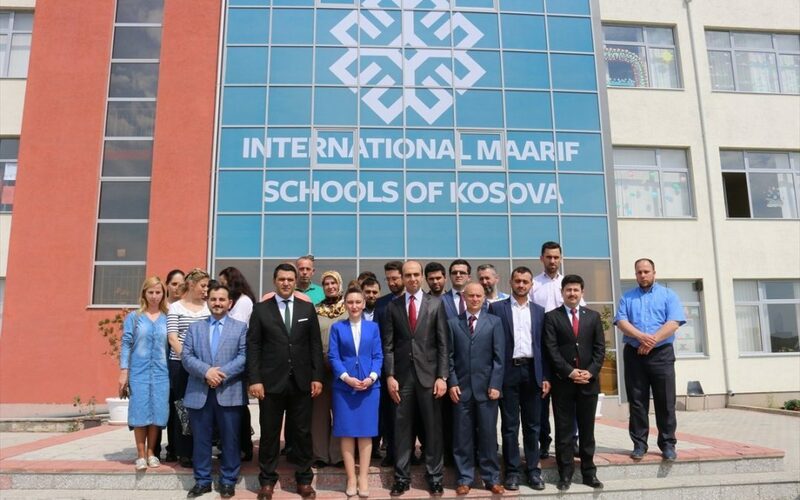 The Maarif Foundation, which was established by the ruling Justice and Development Party (AKP) government in 2016, has taken over 76 schools linked to the Gülen movement in 10 countries, the state-run Anadolu news agency reported on Tuesday. According to the report, the Maarif Foundation took over Gülen movement schools in Guinea, Somalia, Sudan, People’s Republic of the Congo, Mali, Mauritania, Niger, Tunisia, Senegal and Chad with their 8,506 students. The foundation also signed an agreement to take over Gülen movement schools in Afghanistan, which have more than 8,000 students. The foundation also has opened 32 new schools in 11 countries: Gambia, Sierra Leone, Djibouti, Sao Tome and Principe, the United States, Kosovo, Afghanistan, Georgia, Bosnia and Herzegovina, Tanzania and Macedonia, having a total of 1,127 students. Mr. Erdoğan accuses the Gülen movement of masterminding a failed coup attempt in Turkey on July 15, 2016. Despite the movement denying involvement in the failed coup, the Turkish government launched a witch-hunt targeting the movement following the putsch. Interior Minister Süleyman Soylu on April 18, 2018 said the total number of people who were arrested over their alleged ties to the Gülen movement between July 15, 2016 and April 11, 2018 is 77,081. Soylu said on Dec. 12 that 234,419 passports have been revoked as part of investigations into the movement since the failed coup. On Nov. 16 Soylu had said eight holdings and 1,020 companies were seized as part of operations against the movement. The number of people who have been investigated for alleged ties to the Gülen movement reached 402,000 in March, the state-run Anadolu news agency reported on March 15.